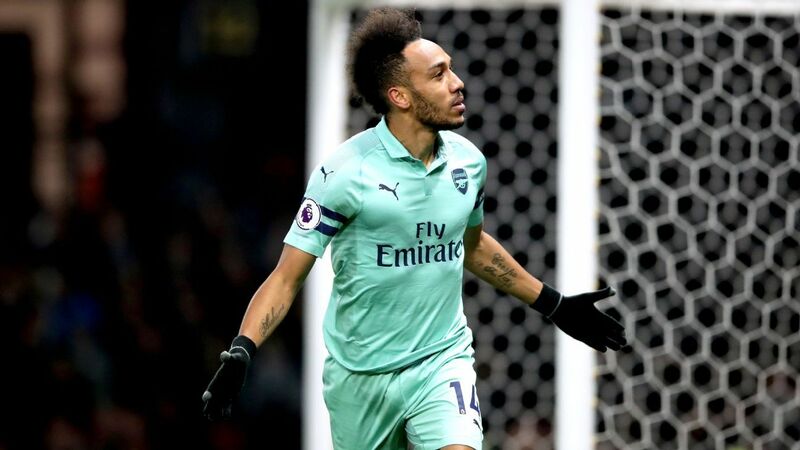 The home side's goalkeeper Ben Foster dwelled on Daryl Janmaat's back pass for too long, allowing Aubameyang to close him down and block his attempted goalmouth clearance as the ball ricocheted into the back of the net. Foster made no excuses for his howler. "I've said sorry to the lads," he said. "I tried to drag it on to my left and pass it out but before I knew it Aubameyang was bloody on me.He is too quick.In hindsight you have to get rid [of the ball] as quick as you can, even if it goes into row Z. " "We did a lot of things to try to win, a big effort, "he said . "We did not get any points but we played well. It was a difficult game with 10 men."